In Blacksburg and throughout the New River Valley, homeowners are able to enjoy being outside many months out of the year. 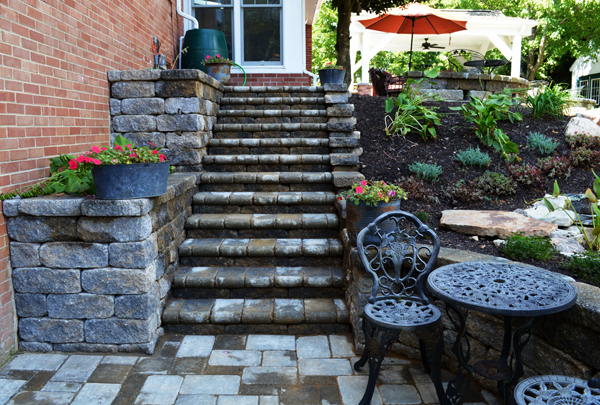 Hardscapes and other features in your yard will not only extend the comfort and style of your home beyond its four walls, but they can also boost the value of your home. From simple touches such as replacing an old concrete sidewalk with a brick walkway to more statement-making projects like outdoor living spaces with a fireplace and kitchen, your options are endless. If you’ve been thinking about personalizing your yard, contact our team of design and construction pros so we can help bring your vision to life. 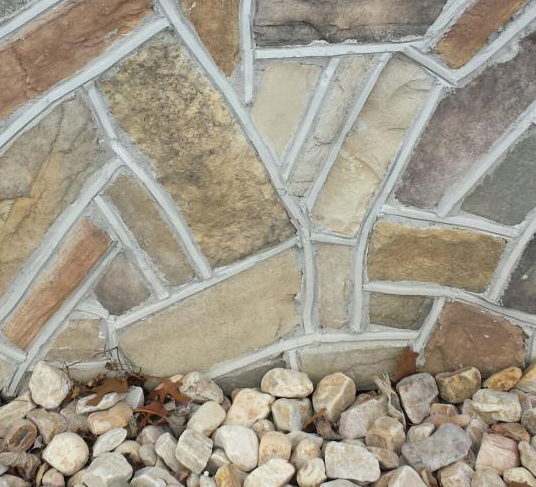 Read about the Back to Nature design process or scroll down to learn about the hardscape projects we can build for you. We’ve also put together a portfolio of our recent hardscape and outdoor living projects to give you a better understanding of our capabilities and quality. Is there anything more relaxing than the sound of water spilling over your own waterfall or gently bubbling in a fish pond? 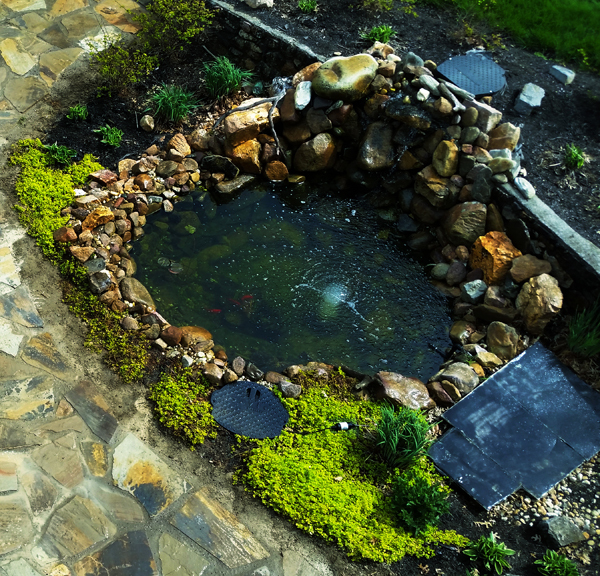 Adding a water feature is a great asset to your landscape design. Combining our knowledge of wildlife and plants, we can build you a self-sustainable pond that is also durable and low-maintenance so you can truly enjoy having it in your yard. 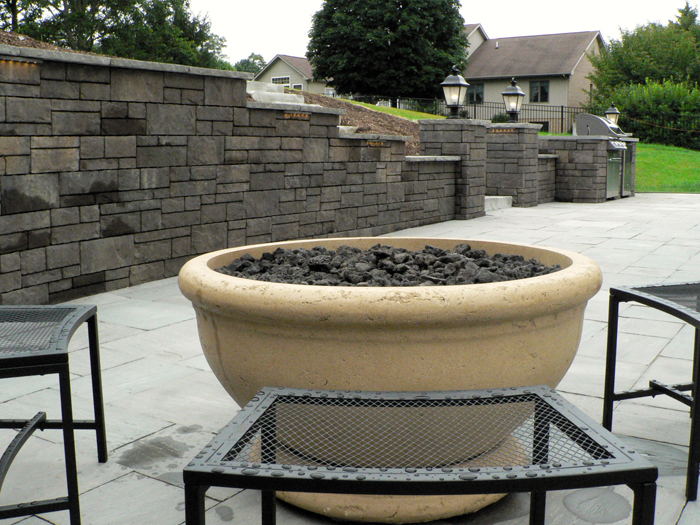 With the rolling and often steep terrain of the New River Valley, a retaining wall could be an essential part of your landscape. Beyond aesthetic value, they provide structural support to protect your home and yard. Timing is another element you need to consider when you are adding a new patio, walkway, or driveway to your home. We recommend clients start hardscaping in the winter as it allows enough time for the patio to settle into place. This way you easily enjoy your new patio in the spring and summer instead of waiting several weeks for everything to dry and settle properly. The other benefit to working on hardscaping in the fall and winter is that there will be less damage to your lawn. The entire process can go quickly as there are fewer people looking for hardscaping in the winter, allowing us to get lower prices on various products. We want our clients to have the best, and we work hard to do the job correctly with the right materials and installation team. Do you want to add some new life to the exterior of your home? We provide stone veneer installation to replace or enhance the look of your home’s exterior including siding, brick, and stucco. We also include interior stone veneer installation, which is ideal for kitchens, fireplaces and entryways. If you can dream it, we can do it! Enjoying a cozy fire is a great way to spend a chilly evening. We offer a variety of fireplaces and fire pits to suit your space and style. Each will give you a distinctive spot where you can gather with friends and loved ones. 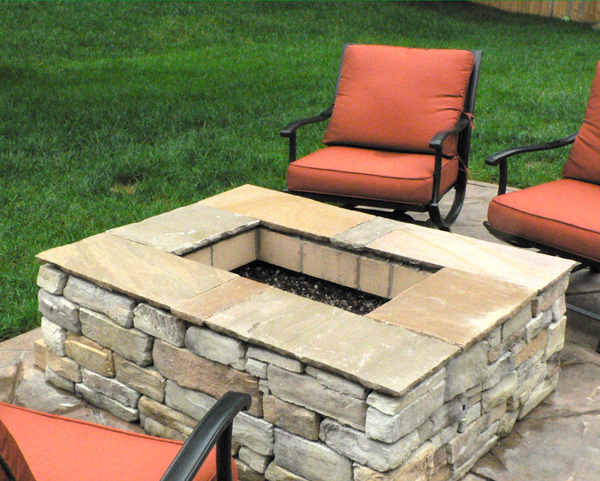 Adding a fire pit or fireplace is a great way to enjoy your backyard, and we design it for wood or propane use. An outdoor kitchen is the ultimate outdoor living space. With a full range of design solutions guaranteed to enhance your backyard and your outdoor cooking experience, you’ll end up with a kitchen that perfectly matches you and your family. 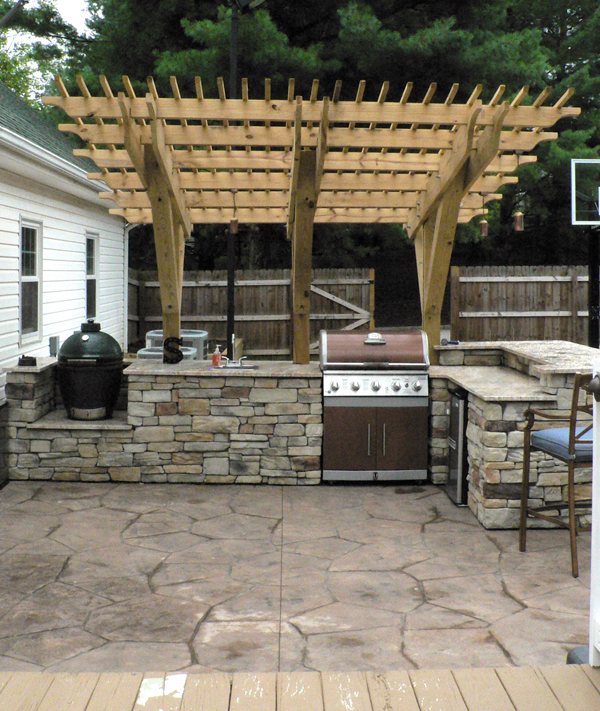 We use only the highest quality materials to ensure your outdoor kitchen is durable and offers a unique look. Do you want to add architectural quality to your home or garden? Pergolas are a wonderful option as they can extend your outdoor living space and provide much needed shade to your patio. Adding a variety of plants to grow around the structure will give it a natural look and add to the style over time. 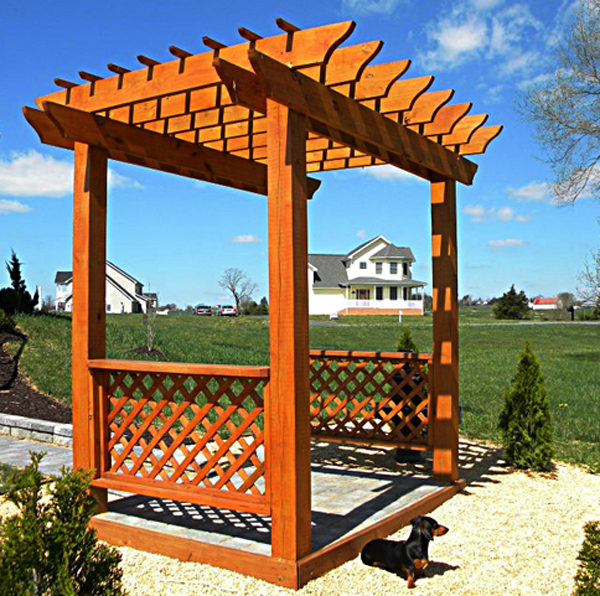 In addition to pergolas, we offer arbors and trellises matched to the architecture and style of your home. Sheds and storage buildings offer a convenient place for you to safely store your outdoor equipment and create additional space in your home. Outdoor storage is a great way to move your seasonal decorations around and other little-used items out of the way so they do not clutter your garage or basement. 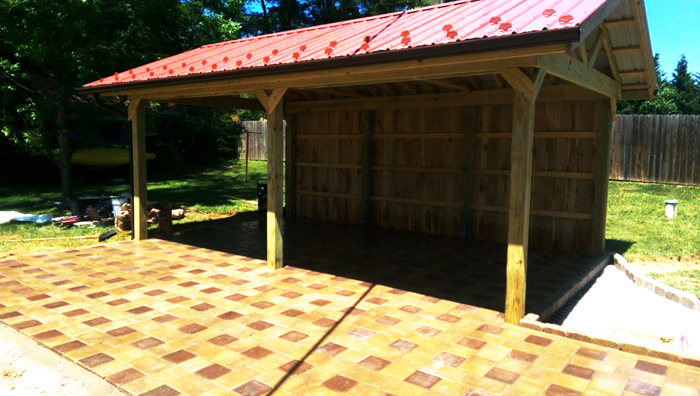 Our design specialists will work with the space you have available in your backyard to create a shed or storage building that matches your needs. Like what you see? Read about our design process to see how we put you at the center of everything we do.